He sits on a quiet corner in a brightly lit alcove in a hospice. He also is a display among others of his ilk in a drawing room adding to the décor or is the little metallic locket adorning a woman’s neck. At times, he finds himself in print in the front side of a traditional Hindu marriage card or makes headlines in news papers being the object of devotion and adoration my millions of devotees worldwide, a certain time of the year. 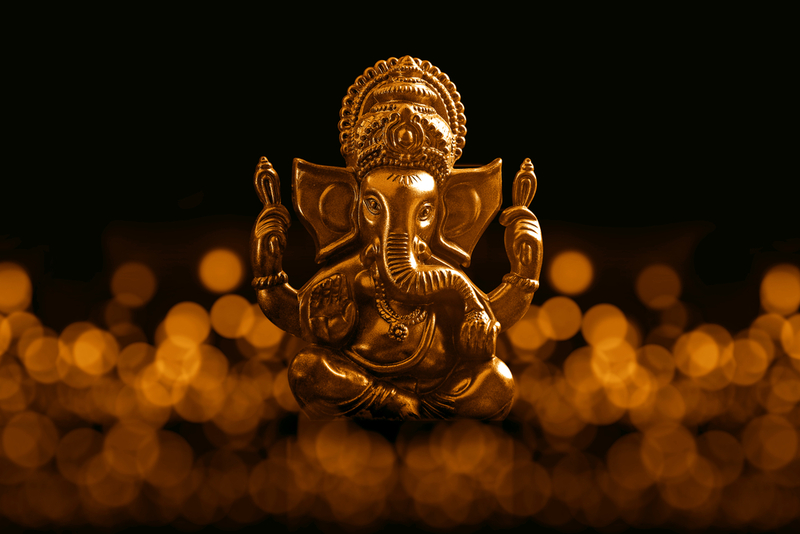 Lord Ganesha image from Shutterstock. Lord Ganesha, is the harbinger of luck and new beginnings. Ganesh Chaturthi is celebrated in his honor signifying his birthday. Most Hindu ceremonies are preceded by praying to Ganesha who is considered the Lord of arts, science and wisdom. Worshipped by 108 different names, Vinayak, Ekadanta, Ganapati, Devavrata are some of the popular ones. Many legends surround his creation. These are recorded in the Ganesha Khanda of the ‘Brahma Vivartha Purana.’ There are two versions of which the first says that when the Devas requested Lord Shiva and Parvati to create a Vighnakartaa (obstacle creator) in the path of demons (Rakshasas) and a Vighnahartaa (Obstacle averter) for the Devas, Lord Shiva and Parvati created Ganesha. The other legend states that Goddess Parvati created her son Ganesha out of dirt off her body while bathing and set him to guard her door while she was completing her bath. Shiva who was out, on returning was stopped by Ganesha from entering. In a fit of anger and tussle Lord Shiva severed Ganesha’s head. Parvati was enraged and vowed to cause destruction unless her son’s life was brought back. Shiva promised to revive him back to life and sent the creator Brahma to search for a head for him. Brahma went in search of a head facing north of a dead person and could manage only the head of an elephant. Shiva fixed the elephant’s head on the child and brought him back to life. In the Ganapathi Upanishad, Ganesha is identified with the Supreme Self. Here too there are two stories associated with the lord- The Curse of the Moon and who is Elder? Legend says that on the night of Ganesh Chaturthi the one who glances at the moon, will be falsely accused. The story goes that Ganesha was a devout lover of sweets. Once, a devotee offered him sweets and he happily collected it during the day. At day end while returning home, he tripped and fell, scattering all the sweets on the ground. As he picked the sweets in embarrassment and looked up, he noticed Chandra Dev, the Moon God laughing at him. This angered Ganesha and he cursed the Moon for laughing at him. The Moon then apologized to Ganesha. The latter forgave seeing the sincerity of the moon, but he said that from that day forward the moon would no longer be full all the time and would disappear and reappear over 15 days. He then stated that since the moon had laughed at him on Chaturthi, thereafter anyone who would glance at the moon would be under an ill omen. To rid oneself of this curse, one had to listen or recite the story of the syamantka jewel, found in the Puranas-the ancient Hindu texts. Another story is that once Ganesha and his older brother Lord Kartikeya had an argument over who was the elder. 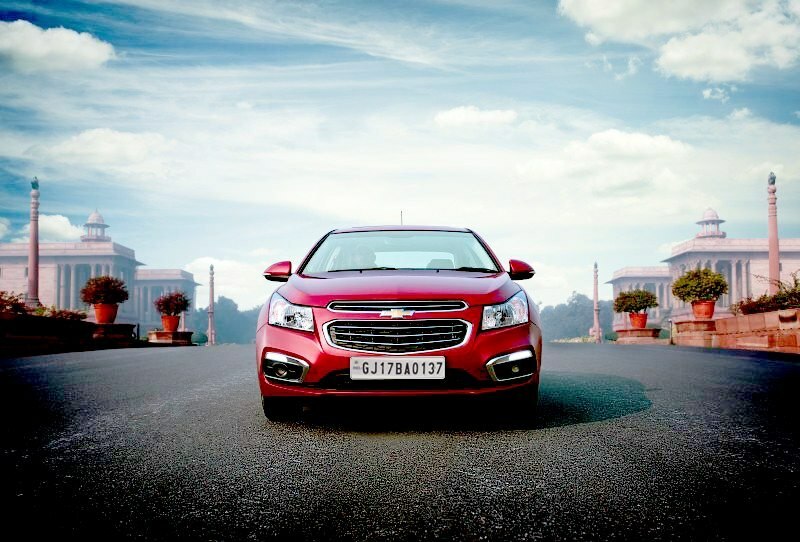 It was then decided that their father Lord Shiva would proclaim the elder of the two. Shiva stated that whoever came back first from a tour of the world from the starting point would have the right to be called “elder”. Kartikeya embarked on a world tour on his vehicle, the peacock while the little wise Ganesha circled in worship around his parents and asked to be bestowed with the title of elder. Lord Shiva then asked him that since he hadn’t gone around the world how could he demand to be called victorious. But the little one had an immediate answer that, by going around his parents, he had conquered the universe as they represent the entire universe. So there ended the argument and a beaming Lord Shiva proclaimed Ganesha the elder of the two brothers. Parvati gifted him a fruit as prize. 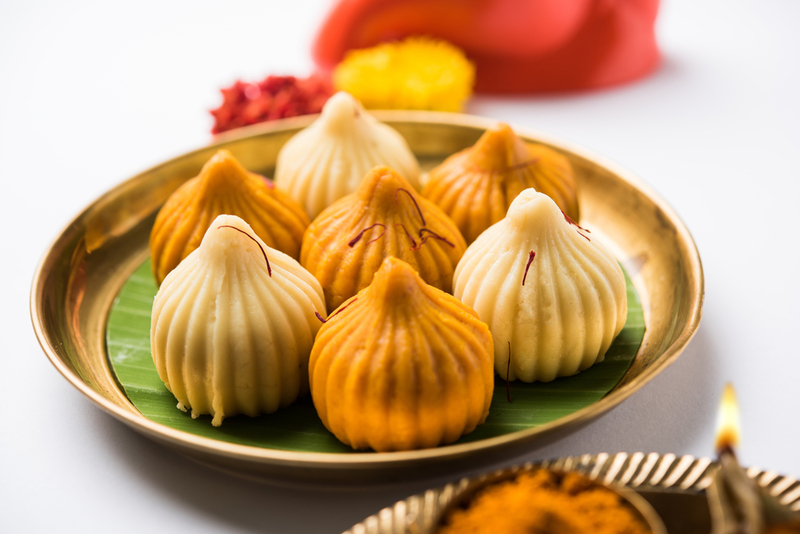 Indian Festival – Indian sweet food called Modak offered as prasad or prashad or chadhava over green leaf to Lord Ganesha on Ganesh Chaturthi with puja or pooja thali and decorated with flowers image from Shutterstock. In Maharashtra, huge pandals are erected and the deity is worshipped for ten days starting from Shukla Chaturthi and ends on Anant Chaturdashi. Ganesha is also worshipped in Thailand, Cambodia, Afghanistan, Indonesia, Nepal and China. No festival is complete without some typical sweets associated with it. Modaks (a rice flour dumpling with coconut, jaggery, dry fruit stuffing), laddoos, gujiyas are popular fares in most temples and private offerings. Beneath the food, fun and story, there is a larger picture that conveys its true meaning. It can be said that Ganesha is the lord of Ganas, which implies all elements of life from insects, animals, humans as well as celestial beings. All contribute to the natural process of creation ranging from weather, natural phenomena among the five elements of air, water, wind, fire and earth including each unique body processes in the animal world. So, to maintain balance one must honor the Ganas. Since Ganesha is the lord of Ganas, by bowing to him, we receive his grace that keeps our life peaceful and out of obstacles. He is the magician that vanishes our woes. 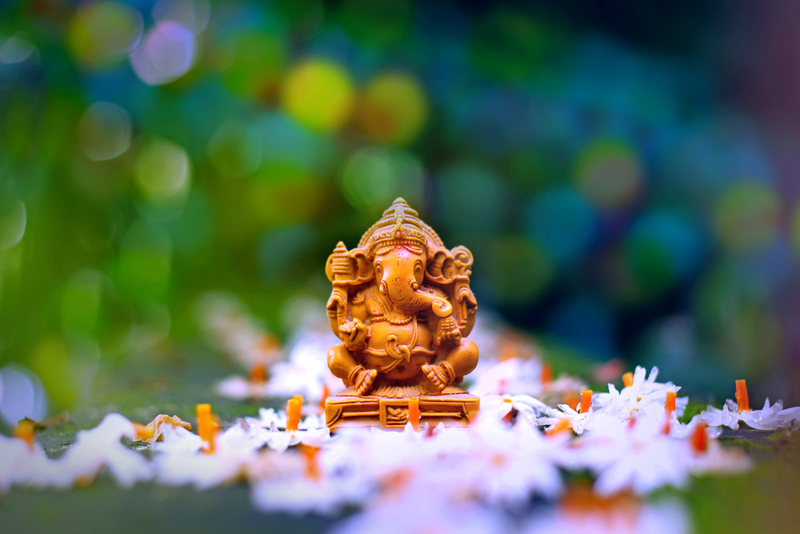 Cover Image Courtesy: Lord Ganesha image from Shutterstock.